If you’ve been feeling as though you haven’t gotten a good night’s sleep in what feels like ages, it’s time to upgrade your old mattress to a brand new Saatva Mattress. You’ll be sleeping like a baby again in no time! As a mom, sleep in important to me. It’s one of those “things” that each and every one of us needs, and it’s imperative to get. You may be noticing lately that your current mattress just isn’t cutting it. If you feel that you spend your nights tossing and turning or waking up as though you’re exhausted, a new mattress needs to be on your radar. I was provided a Saatva mattress for this review, but all opinions are my own. How does a Saatva Mattress differ from other mattresses? How is the Saatva Mattress delivered? We live in a world of distractions, don’t we? No matter what you do or where you turn, are you constantly shifting your mind and energy to something else? I know I am! In the big scheme of things, this causes us to not get a good night’s sleep. What that means is that every single day, we wake up in a vicious cycle of going to be super tired and waking up feeling like we didn’t even get any rest. Pretty horrible, right? 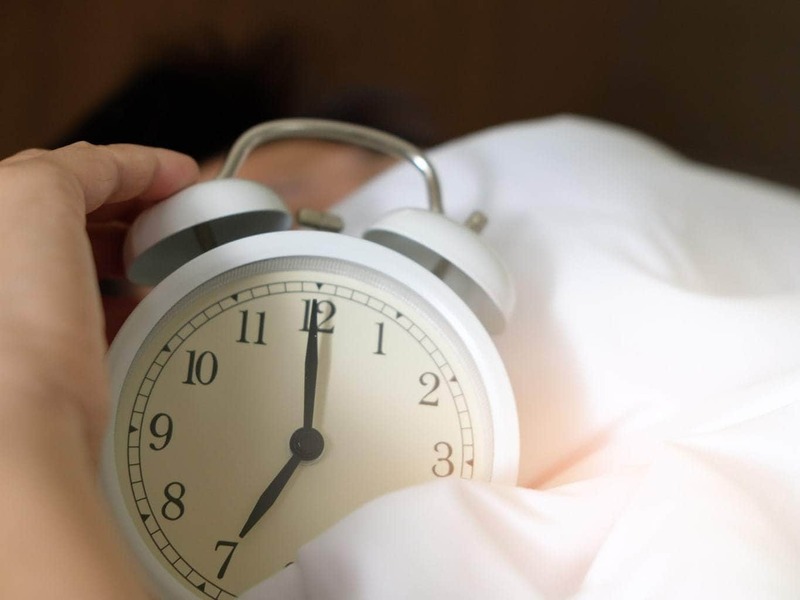 If you’re serious about getting your sleeping habits and pattern back on track, here are a few simple tips that have helped me get a better night’s sleep and fall asleep sooner. Our brains remember things, even as we get older. Bedtimes aren’t just something that children should have…adults should have it as well. That way, when you get to bed at a certain time each and every night, your mind will start to get that into a pattern and your body will start to recognize and start relaxing as well. Staring at a bright screen is one of the worst things that you can do when trying to go to sleep. Instead, leave the phones and devices outside of the bedroom and train your mind to fall asleep without the need of them. If your belly is full of food, you may find that you’re uncomfortable and unable to relax. Once dinner is done, be done with eating. You may find that it’s a huge help is your transition from being awake to being asleep. There’s something relaxing about a nice warm shower or bath. If you can add it into your bedtime routine schedule, do so. It may relax you enough that it helps get you to sleep much quicker than before! Sleeping on a mattress that isn’t good for your body is not comfortable at all! It doesn’t make much sense to spend your nights tossing and turning on a mattress that’s either too soft or too hard when you can go ahead and purchase one of the best mattresses right from the start! 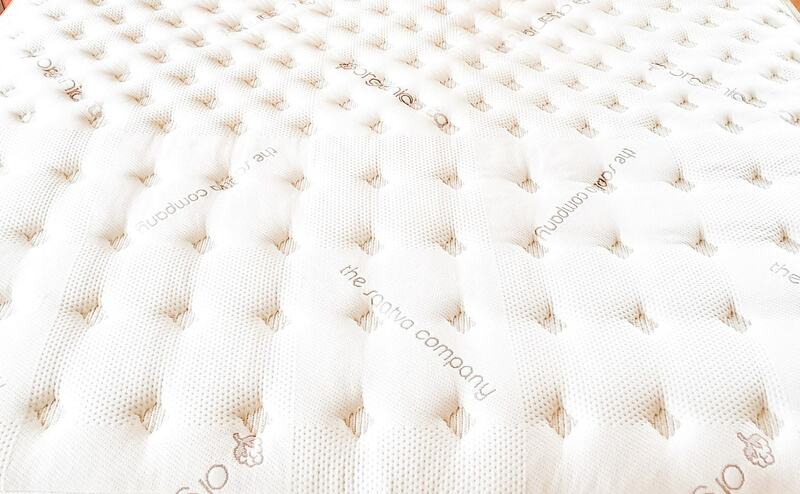 Saatva Mattresses are luxury mattresses that are affordable for anyone to purchase. Compared to many of the other big mattress brands out there, Saatva’s offerings and price points can’t be topped. Finding a mattress that fits you and your body is important, and Saatva Mattress understands that! The difference in their mattress compared to others is amazing! 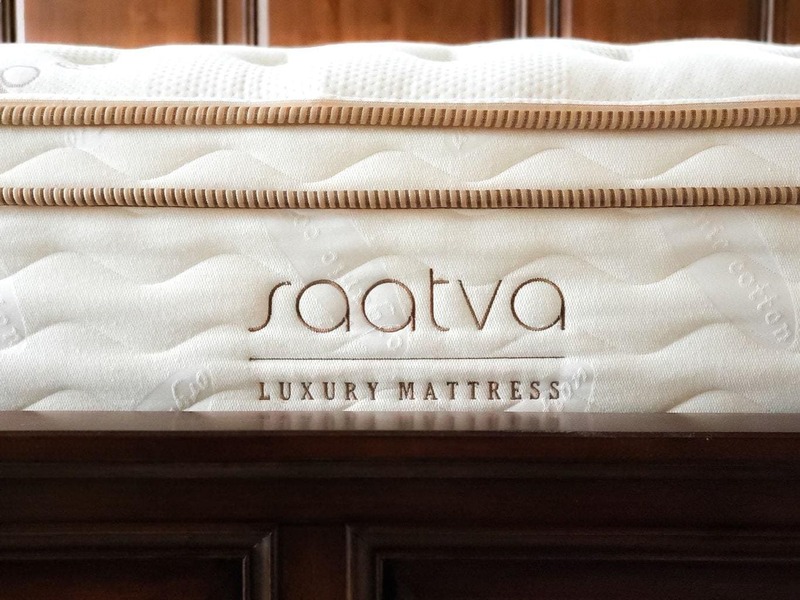 Each and every Saatva Mattress comes equipped with lumbar support enhancements which basically means that they are doing everything within possible within the creation of their mattress to cause less stress and tension on the lower part of your back when sleeping. Did I mention that this mattress is so soft?! It’s like laying on a cloud! Every Saatva Mattress is topped with a Euro pillow top that literally wraps you and your body with comfort and support. Once you lay down, your eyes will be closed in no time. 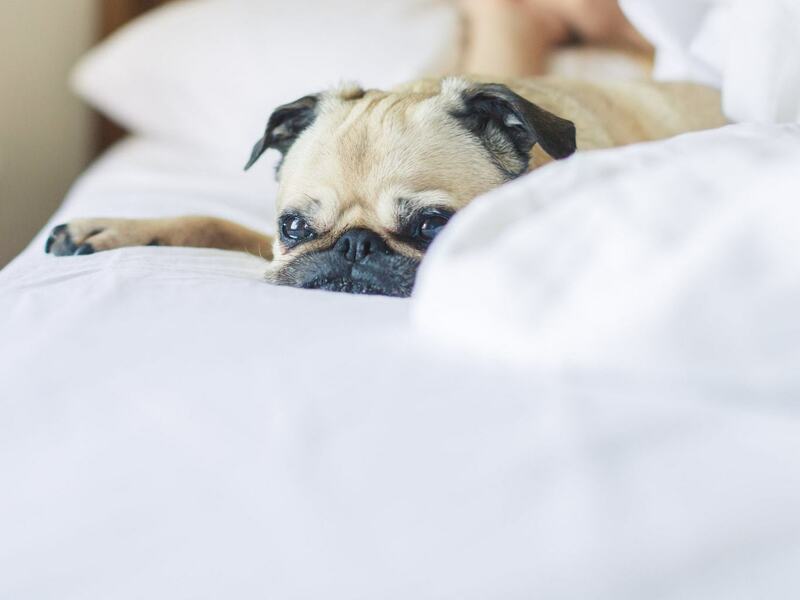 With three different comfort levels to choose from, you can rest easy (literally) knowing that your mattress is perfect for you and your sleeping needs. Like a soft and plush mattress to sleep on at night? You’ll want to definitely give their Plush Soft a try. With extra layers of padding, it’s so comfortable and snuggly. Their most popular mattress is their Luxury Firm and for good reason. It’s crafted and created to be the same comfort that you would find when staying at a luxury hotel! If you prefer your mattress a bit more firm, the Firm Saatva Mattress understands that as well. You won’t have any issues and will never feel as though you’re “sinking” in. When you order the mattress, make certain that you get the Saatva sheets and pillows as well! 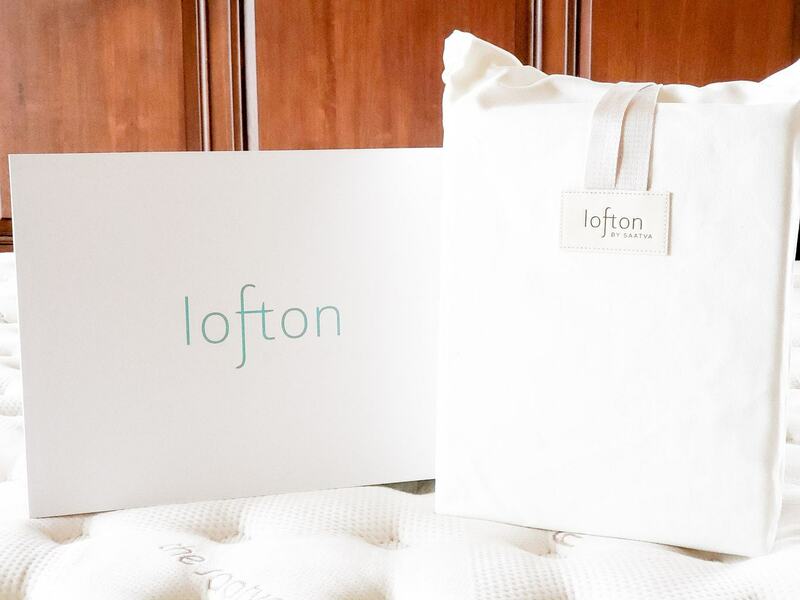 I can assure you that Lofton by Saatva sheets aren’t just “any old sheets”. They are top of the line, premium bedding. Made using organic cotton and non-toxic dyes, you’ll love the fact that you can snuggle down each and every night in true luxurious comfort. Plus, their pillows are amazing as well. 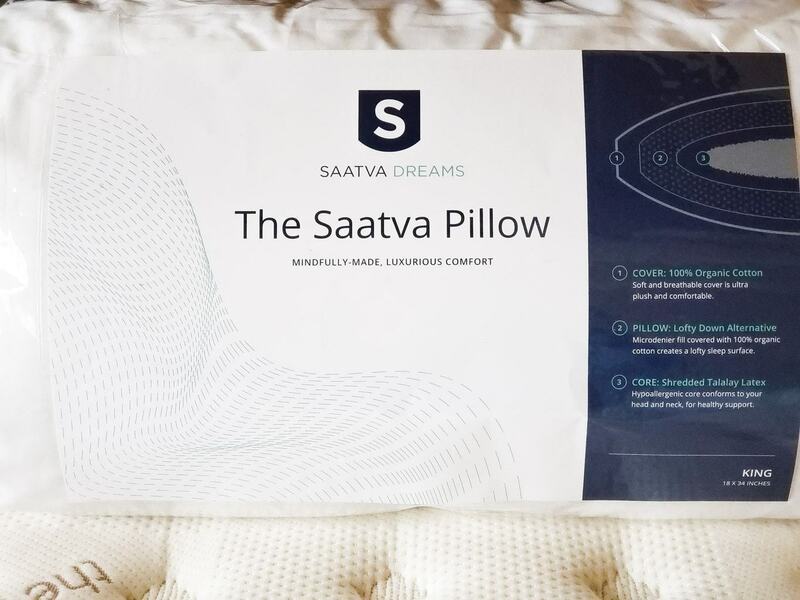 Forgot those days of squishy flat pillows and give your neck a true treat of support with a Saavta pillow. Once my head hit the pillow, I was out. When I woke up in the morning, I didn’t have any stiffness or anything. Plus, I’m loving the fact that each and every pillow is created with three layers, giving me a truly good night’s rest and support. This is literally one of the best parts of the Saatva Mattress. Each and every mattress is delivered right to your front door and set up by dedicated movers in the room of your choice. Not only that, but they will also remove your old mattress for you as well. How amazing is that? Knowing that your mattress isn’t being delivered in a box, leaving all the work for you is completely amazing. I can tell you from first-hand experience that the delivery process of our Saatva Mattress was incredible. The delivery was on time, the customer service was impeccable and the setup and take down of our new and old mattress was seamless. 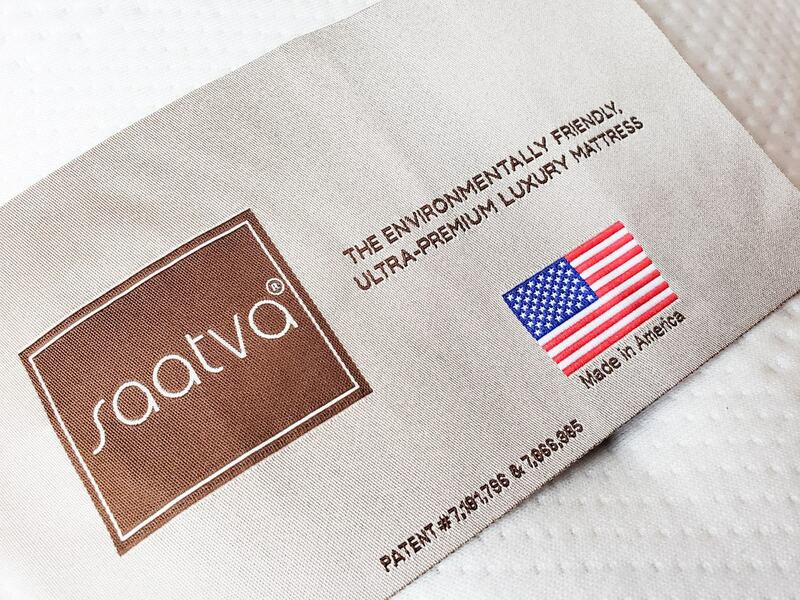 If you’re looking for a mattress that is truly luxury, Saatva Mattress is where it’s at. After sleeping for many, many years on another brand, I’ve been sleeping amazingly since our household made the switch to Saatva. You won’t regret your decision to bring their mattress into your home. Your sleeping health depends on it!